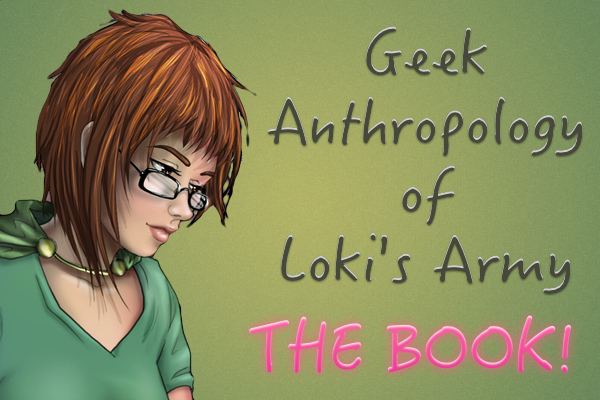 We’ll start analyzing a little bit the psychology of Loki. He is a very complex character, and he does look like he is crazy. However, he is more complex than that. What if he got that way just by his environment and just using his survival skills? What if he was too sensitive and the Asgardian environment was the soup to make him that way? 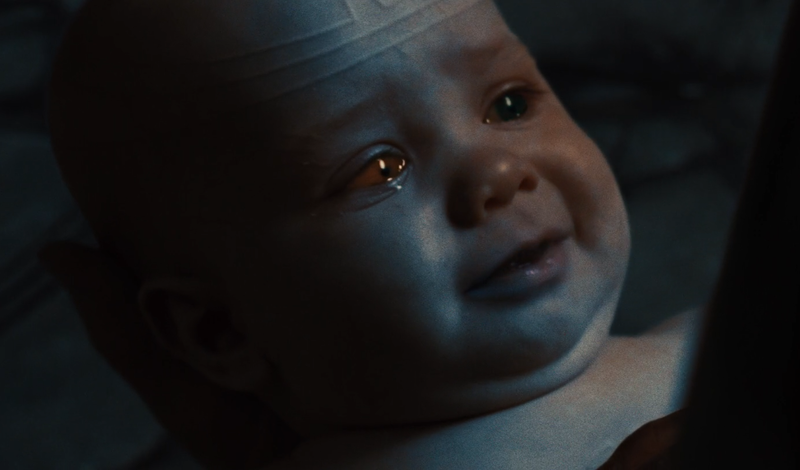 We’ll start with the first Thor movie where we can see Loki as a baby, kid, and youngster. Let’s take a look to the baby Loki. Loki was a tiny baby, for being a giant, and was left to freeze till death. However, Odin found him. The baby reacted to Odin, appealing, not to be thrown away. This “appeal” is inherent to all babies. They cry out in distress (and their cries make you mad, really, so mad that you have to do something to please them). Odin, brought the baby back to Asgard from Jotunheim, and decided to adopt it. So, him and his wife, Frigga, would be Loki’s new parents. Loki is not as Asgardians are. Asgardians are bigger, look stronger (and are a little bit stronger than him), have healthy looks (he looks very pale, close to being sick), and are not very smart. Young Loki had a handicap: he was likely the nerd/geek guy in town. Thinner than the rest, paler than the rest, structurally weaker than the rest, but smarter than the rest. That is the home brew for a quite future angry geeky God. Asgardians did not have as much respect for him simply because he did not match the “brute stereotype” his brother Thor had, the perfect Asgardian. Poor Loki, for survival needed to compete, somehow, using something else: intelligence. Loki’s Imprimer is Odin. In order to survive the brute Asgardian environment, he needs to please the Imprimer, in this case Odin. Being Odin the Imprimer also means that becoming as Odin is also a must, hence the competition with his brother Thor. But how can he compete if he does not meet the Asgardian stereotype? Here comes Mom to the rescue! He can appeal the Asgardians. He learns magic from his mother, and starts an “appealing” process in which he will eventually prevail. How? Using the thing others have pains to use: the brain. Loki is very intelligent, and promotes his attributes as much as he can. He becomes Prince Charming, while Thor is plainly put: a brute. The difference is seen from miles away! In Thor, the first movie, we can see a charming Loki and a brute and undisciplined Thor. But this can backfire. Odin decides that Thor is going to be the ruler, despite the perfection of Loki. Loki starts fearing for Asgard, and starts “bullying” the coronation of his brother. What can be seen as “envy”, can end up being far more complex than just that. If you consider that your brother is just a brute who does not understand the ins and outs of power as the “Imprimer” does (Odin), you might feel compelled to postpone his coronation as much as possible, hence, bullying him. The problem here comes when the Imprimer proves to be flawed! The psychological Tsunami is devastating for Loki. He has tried to please his father from the very best beginning. The Imprimer is not only a mirror in which you can copy behaviors, but also it is someone to be pleased. When you discover that you’ve been cheated (discovering the true nature of the Imprimer), you can have quite a nightmarish crisis. In this case, Loki, is having a deep identity crisis: not only I am not the son, not only I was never going to have the chance of being king despite all my efforts (read this as “despite all my efforts to please my Imprint and being like it”), not only you lied to me all this time, you also neglected me and used me. The result: you take the new image of the “Imprimer” and execute the previous program: please the Imprimer and copy his behavior. And from here you get the new Loki. 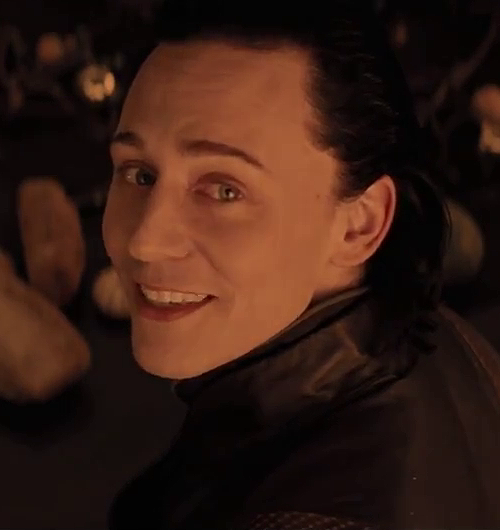 From what we’ve seen in the first movie, we can assume that Loki was a sweet and disciplined boy who just wanted to fit in. Since he was the “weirdo”, he had to use more his intelligence than his strength to gain the favors of his Imprimer, and also of the other Asgardians. A tough time, really. Memories of childhood, seen from the eyes of the new Loki are clear: “I was in the shadows”. Because, in a sense, he was. Loki is obviously broken, and obviously messed up for his relationship with his father. The Imprimer, Odin, has neglected him, as his race did. Twice neglected, and unable to change the patterns of the Imprimer (you could do that if you went to the psychologist, but we know that Loki did not), you start developing a dual personality in which you get “love” and “hate” in same amounts. He “loves” his family at times, but he “hates” his family at some other times. That’s why he helps and bullies and messes things up as much as helps, making the Asgardians nuts. Neglected twice, and knowing he is adopted, creates a further trauma in him. He was not evil, but a nice chap trying to fit in. In his mind he has years of loving nurturing from both of his parents, but also a big lie from the Imprimer (who will be sole responsible and target for that). This creates an emotional tsunami which overwhelms him. How to survive? You either get tough, or you are bound to the abyss. Loki is a survivor from birth. Plus a shape-shifter. He can change the appearance of his body, but also of his mind. We all have alter egos, or different “identities” to connect with different friends. For example: we have the digital identity (or several of them), another one with teachers, another one with family, different identities with different groups of friends, etc. This is a type of shape-shifting, and Loki has been doing that more than usual just to fit in. He needed to survive in an environment that did cast him out as the geek or the different one. The problem here is that his adaptation, and the “Imprimer” dependence has turned out to be volatile, and hence poor Loki is living into turmoil. His personality, the sweet one is fading in favor of another one which seems to fit more for survival, but in the process he is suffering a process of disassociation creating multiple personalities and letting them pop out. While he can be sweet at times (still the sweet Loki pops out), the new tricky Loki does the same. We can see that easily when he talks with his mother. All this lives in his subconscious: the Imprimer patterns, the traumas, the feelings of being left to die, the feelings of being neglected (twice) are creating a soup in Loki’s psyche. He is lost, he feels alone, he feels unloved, he feels neglected, he does not know who he is anymore, he even might be unconsciously feeling good and bad at the same time, while he might believe a certain fantasy he might be projecting onto others unknowingly. His only way of overcoming this messy tsunami is to project his feelings, fears and fantasies onto his parents and brother (specially the Imprimer and his protégé, his brother). So, the real drama in here is Loki, the geek God of Mischief, who is broken, and doing the impossible to survive using his cunning and seizing opportunity. – “the emotion machine” by Marvin Minsky. – “The Psychology book“, DK. This entry was posted in Academic, Loki's psychology and tagged interesting, personality, psychology, 面白い on March 5, 2014 by pepi.